Cut-up cakes aren't just for children, they are for everyone who loves a fun and easy baking project. Cut-up cakes aren't just for children, they are for everyone who loves a fun and easy baking project. They are for marking family milestones, holidays, and turning ordinary occasions into celebrations! Cut-up cakes are a breeze to make, you don't need special pans or tools, just some bright icing, a groovy attitude, and a lot of coconut! You simply bake your favorite cake in a standard-size pan ... the trick is all in the cutting, simple and fun to do. 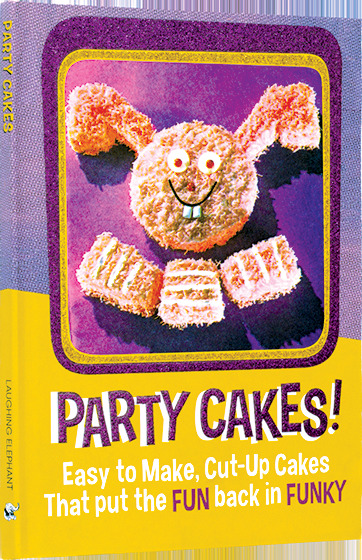 Party cakes has a cool retro vibe and modern recipes for making great cakes and having fun doing it!